Not too sure of this location, but I believe it to be the docks branch if only because of the cranes in the background. 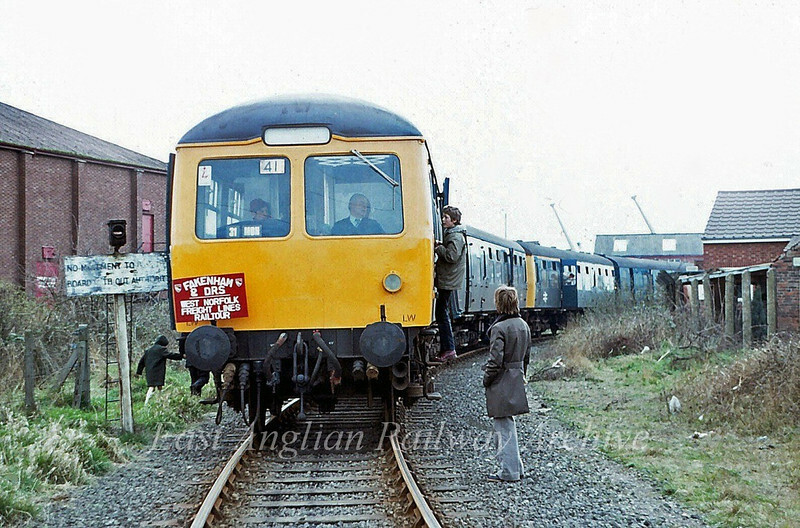 This is a visit by The West Norfolk Freight Lines Railtour on 29th March 1980. Thanks to Peter Risebrow for confirming the location as the Docks Branch, the front of the train being at the John Kennedy Road crossing. This is indeed the Kings Lynn Docks Branch. The far end of the train would be at the John Kennedy Road level crossing, just before entering the docks.